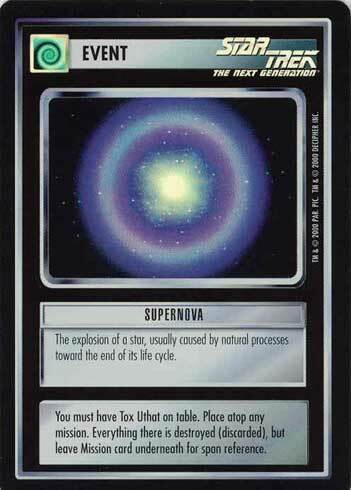 The explosion of a star, usually caused by natural processes toward the end of its life cycle. You must have Tox Uthat on table. Place atop any mission. Everything there is destroyed (discarded), but leave Mission card underneath for span reference.